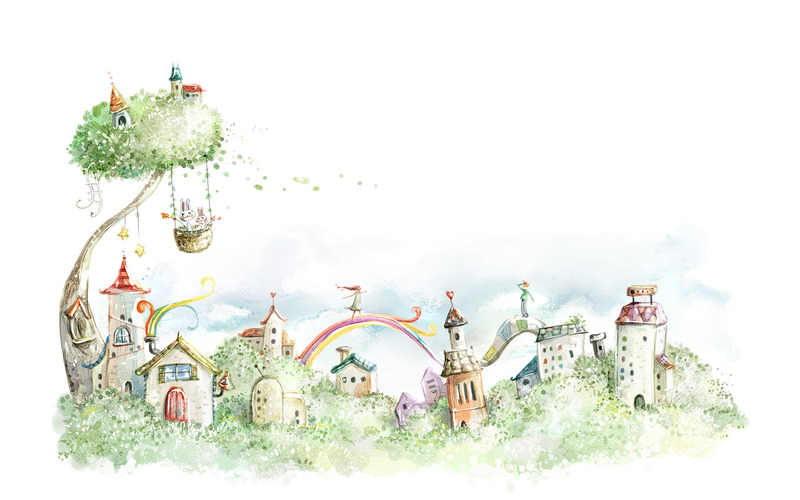 In the last edition of this blog I suggested that small sized communities are the way forward for creating happy communities. 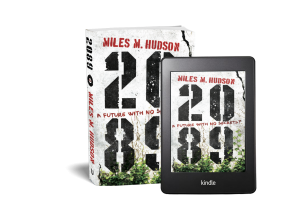 This is the formula used by the emergent post-apocalyptic society in my new novel, 2089. But what is wrong with the current political systems of nation-sized populations? Capitalism is a continuation – or extension – of the feudal system, where money and market force replaces physical force and social tradition as the instruments of ‘oppression’. It offers the tempting notion of social mobility through enterprise, although I would argue that social mobility is only really important in societies where some people are genuinely disadvantaged. But large-scale capitalism encourages corruption to maintain oppression- the rich don’t support social mobility. Smaller communities look after their own, and so that mobility becomes much less important, even irrelevant. Many indigenous societies that were colonised by Europeans had little prior conception of the idea of personal property. Communism is the only real attempt to do things differently. But it goes against a natural order of leadership and extant, natural differences between people. Some pigs really are created more equal than others. Thus, communism also engenders corruption and oppression, as human nature contradicts the tenets of large-scale communism. Interestingly though, the smaller village-sized communities I’ve espoused have a natural tendency towards communism – it’s no coincidence that the words start the same. Furthermore, on a large, say national, scale, it removes the drive humans crave. The structure of communist society will supposedly provide everything, with no personal accountability or direct duty towards everyone else. Whilst the workers may own the means of production, they are sapped of any motivation to produce. Unless people can see and sense their achievements, there are no achievements. And large propaganda machines are not an adequate substitute, mostly because people can see through them anyway. As with all solutions in life we need to find a compromise between the exploitative and oppressive capitalism we currently have, and the will-sapping uniformity of communism: we need a societal structure that recognises the need for leaders and workers, offering rewards to the most able and conscientious whilst supporting the vulnerable and weak. Large population sizes tend to remove the personal feeling of duty towards others in the society. This leads to a race to the bottom with everyone working for themselves: the American dream realised. Some might suggest that it can also be more difficult to engender that love of your society in a more diverse population. In a song on England, Half English, an album decrying the state of the UK in 2002, Billy Bragg said that we should ask the Scots how to “take an abstract notion of personal identity and turn it into nationhood”. Scotland is a less diverse and smaller population than England, which arguably offers a greater sense of duty to their fellow Scots than us south of the border, and believes more strongly that we must look after everyone. To my mind, it is the small size of population that brings this, not the lack of diversity. Why support the weak in society? Surely it just makes them lazy… is the siren call of the capitalist. There are many intangible factors that contribute to the positive feeling in a society – which at the end is all I’m aiming for, for everyone to feel good about themselves and their community. Simplistically, you can’t achieve that ‘everyone feels good’ unless the weak feel good. More subtly though, there is a feel-good benefit to all when they contribute to helping others. Pragmatically, and this counters the capitalist arguments, if you consider the drain on a society’s resources from disengaged members, who perhaps become criminalised, an investment in them early on will save resources in the long run. As an example, think of the reasons for privatising British Rail. Efficiency can be improved if we reduce the over-employment on the railways, meaning that those who are lazy and simply wandering around at the station and not really contributing are being supported for doing nothing productive. However, many members of society are unlikely to thrive in any competitive drive to ultimate efficiency. The feeling of inclusion, and contributing to the community (by making the railway network function) makes these people feel positive about society and so more likely to be useful, or at least non-detrimental, members of that society. By employing them unproductively on the railways, they have less time to idle away, or perhaps act criminally; are more likely to be healthy, thus saving health care resources for society; and more likely to spread those good feelings to others. This hits one of the key problems in our current societal structure, that the chase for personal circumstances improvement over the benefits to society as a whole mean everything is short-termist. If we were always thinking holistically, to make plans to benefit society over, say, the next fifty or hundred years then the use of resources in all areas would be so much more efficient and successful. We should be planning the training and careers of, for example, our doctors for the entirety of those careers. Look at the demographics and see how many doctors we’ll need each decade and put plans in place to have university training places available in the right quantities at the times we need them. The capitalist will shout that we can’t guess the needs forty years in advance, so should leave it to the market to dictate. But this is the speculator speaking, eyeing up personal profits to be made from shortages. Medicine is a perfect example where the training takes so long that it must be strategically planned. The details of the plans can be reviewed but changes are likely to only be minor aspects, when innovations change the work and migration adjusts the demographics. So how should we set up our society? 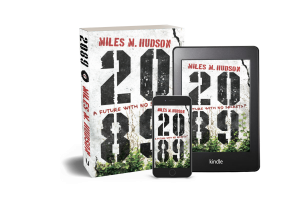 In my novel 2089, the new global constitution limits influence, and thus community sizes, to no more than 10,000 people. Click on the picture of the book to find out how these small communities have developed… are the people happy? In the next edition: Is there a tipping point that brings global chaos of civil wars?